Browseextended (Browse Extended) is another bothering application which is also classified as potentially unwanted program (PUP). It attacks main browsers such as Edge, Google Chrome, Internet Explorer, Mozilla Firefox, and Safari, carrying the slogan “Surf the web as usual, find enhanced content with Browseextended.” Primarily, Browseextended aims to gain profit by popping up advertisements and sometimes redirects your browser to commercial web pages. Some computer users easily acquired this adware without their intention. Sadly, they don’t have effective ways to remove Browseextended from the Windows operating system. This adware and its intrusive advertisements that often pop-ups on the browser are not just annoying, it also slows down the computer. Browseextended collects this ads from a remote server, thus, it also greatly affects your internet speed. Furthermore, your privacy is in danger with this adware. Browseextended may collect sensitive data from your computer which are relevant to your online accounts. Protecting your computer from Browseextended and other sorts of adware requires awareness on its type of attack. In that case, you can avoid the adware and have a secure online browsing. Browseextended is normally knotted to freeware or shareware that you can download from various websites or hosts. Typically these sites, as well as the program they offered looks very appealing. It can be in a form of software update, required tools, or free games. Pay-per-install is what adware makers usually used to spread their creation. Users are not aware on this scheme, wherein they can install a bunch of unwanted program that is packed in a single shareware. So, in order to prevent Browseextended, user must be vigilant on what they download and install. 3. Look for and remove Browseextended entry. If not present, look for any suspicious labels that was installed recently. 4. It searches for presence of harmful programs, plug-ins, add-ons, or any data that were found malicious and linked to Browseextended. You need to Clean all items detected by this tool. After the previous scans, you may have deleted Browseextended from the affected browser. This next step will ensure that no more module of adware will be left on the browser. This free tool scans and checks the browser for unwanted add-on and extension, and if found, Avast Browser Cleanup will give you a report and suggestion. 4. Avast Browser Cleanup will confirm before it permanently deletes the add-on. Please click Yes to proceed with the removal of Browseextended on the affected browser. Cleaning your internet browser from clutter and unwanted add-on/extension is a must when dealing with Browseextended. The procedure below discuss on resetting various browsers to its default state. Resetting Google Chrome to default settings is helpful in deleting hard-to-remove extension such as from Browseextended. This method is highly advisable to perform if you have difficulty in removing unwanted extension. 6. Close the existing tab and restart Google Chrome. That should have removed Browseextended extension. 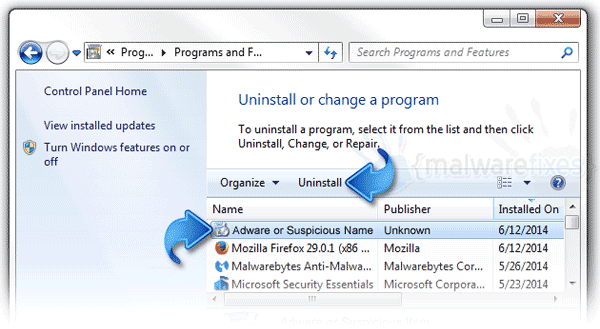 This section describes how to remove unwanted extension from Firefox that may be related to Browseextended.. This process can fix many browser issues by restoring Firefox to factory settings without affecting your essential information (bookmarks, browsing history, passwords, and Internet cookies) on the browser. If you desire to remove only specific extension, please see manual removal of add-on from Firefox. 4. Firefox browser will close and start the resetting process. When done, it will display a list of restored data. Browseextended should be gone by now. Click Finish to open a fresh version of Firefox. Your data like favorites, bookmark, and history will remain in the browser. However, this process may delete add-ons by Browseextended and other unknown objects. If you prefer to carry out the procedure manually, please add-on removal from Internet Explorer.